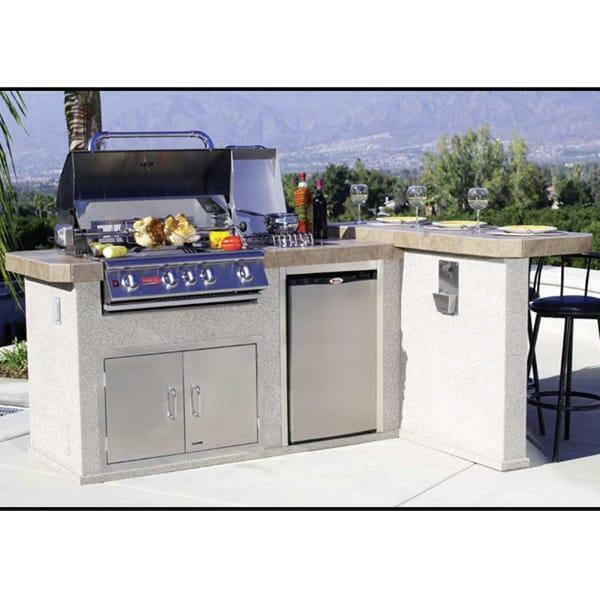 With a smart and clever design that will fit into virtually any space, the Luxury-Q Grill Island from Bull Outdoor Products will create an efficient outdoor kitchen on your patio. 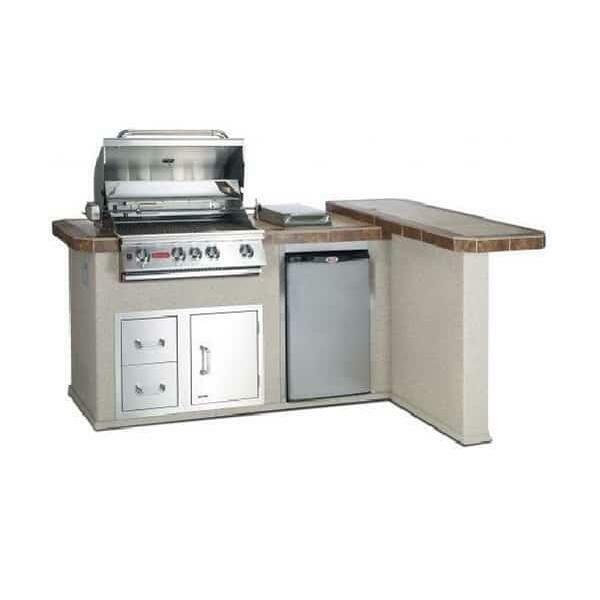 Bull Grills offers a new design with this Grill Island, with an "L" shape and raised bar that will seat up to three adults. Now you can entertain guests while you create culinary masterpieces in your backyard! Tired of running back and forth between the kitchen and grill during your cookouts? 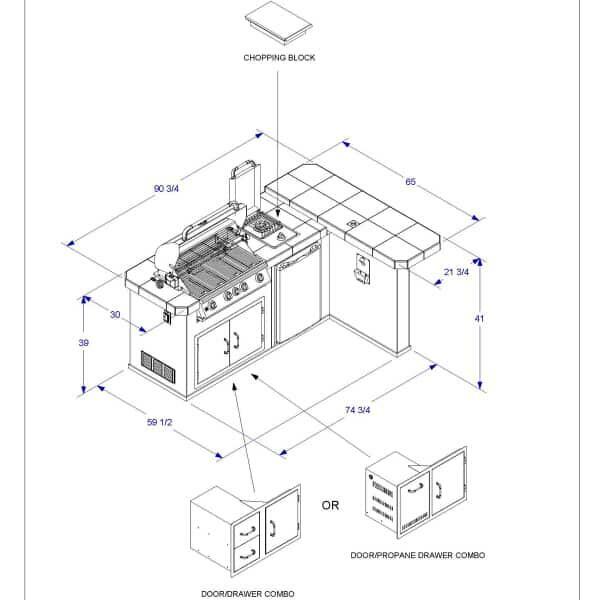 The Luxury-Q showcases a productive Angus Grill Head with 75,000 BTUs of cooking power, a built-in refrigerator, sideburner and lockable storage area for your hot dog buns and other perishables. 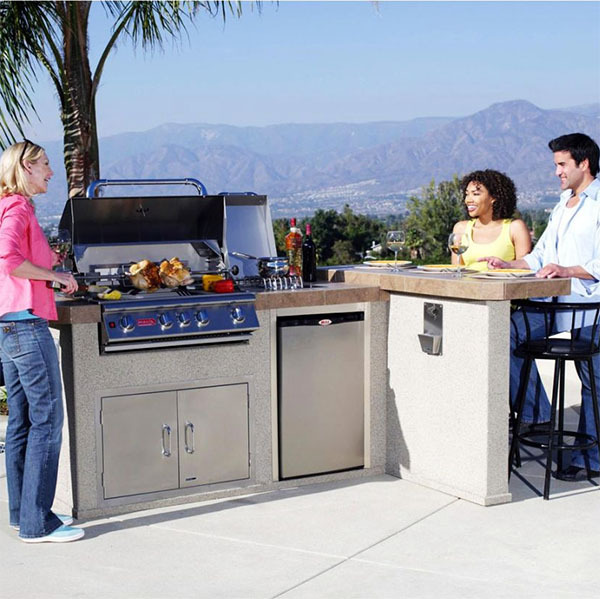 If you want to create a gathering area friends, family members and neighbors will enjoy, then look no further than the Luxury-Q Grill Island from Bull.